Thank you for jumping on board the inaugural Magical Mousetery Tour! 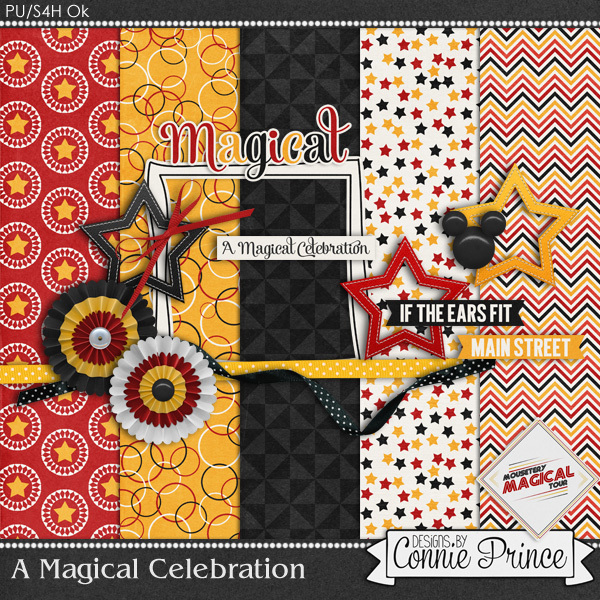 If you're following the Tour route from start to finish, you should have arrived here from October Dawn Designs and your next stop will be Magical Scrapper. If you get lost along the way, simply head back to the main Magical Mousetery Tour post to view the master list and get back on track. You can download my portion HERE. Love the collection...thank you for sharing it with us! I love this. Thank you so much!!! I love the Mickey colors -- thank you for sharing this; it's magical! Thank you for the Mouse Celebration Kit! Awesome! Thank you so much!!! Thank you! Love love love the beautiful papers!!! My favorite color palette! Thank you so much. Thank you for the cute freebie! This is so cute. Thank you. Thank you so much for your generosity! I absolutely love the colors you chose. So cute! So sorry I missed the blog train.